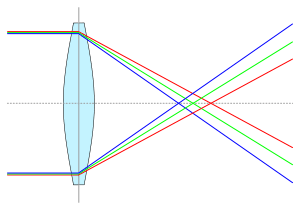 Fringe color filters are able to cut almost completely the secondary spectrum on images taken through telescopes that yield chromatic aberrations, like an achromatic refractor. 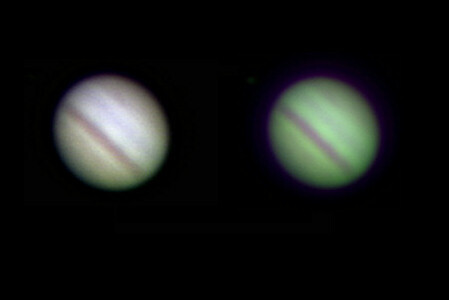 Here is an example of the difference between an picture of Jupiter taken through a fringe color filter (left) and a similar picture taken without that filter (right). Currently, Jupiter is at its minimum distance from Earth, which does not happen since 47 years. 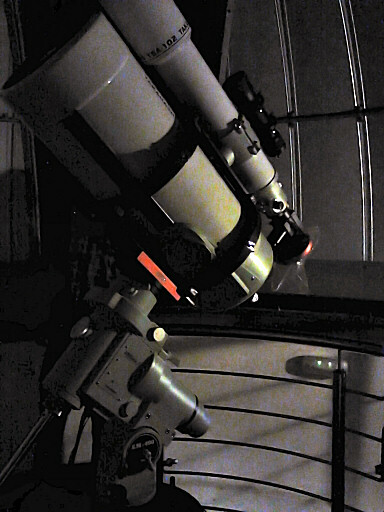 While the largest planet in the solar system can always be spotted with the naked eye, this time will look brighter. The phenomenon is called opposition, and occurs when a planet is located exactly opposite to the Sun in the sky, meaning, the same side of Earth’s orbit about the sun. In such cases, the distance between the two planets is minimal. The oppositions between Earth and Jupiter occur every 13 months. However, as the orbits of both planets are not perfectly round nor perfectly concentric, these approaches are not always the same. There is a “better” and a “worse” opposition. And the gap between the two planets varies from 591 to 676 millions of kilometers. 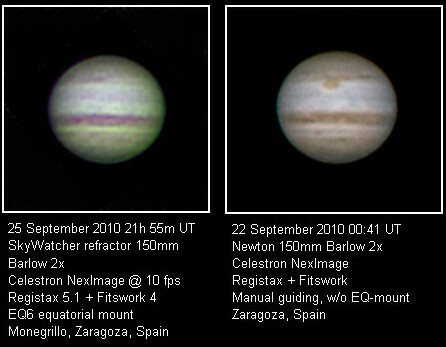 Consequently, the brightness and apparent size of Jupiter also varies. 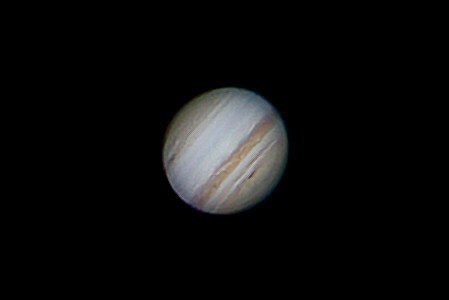 The current opposition of Jupiter is excellent, with the planet at nearly 592 million of kilometers from Earth. Equivalent to about 1,500 times the distance to the Moon, but Earth and Jupiter can not get much closer than that. The last time Jupiter was so close to Earth in October 1963 was 47 years ago. And it will not happen again until September 2022.